Once upon a time, precisely in 1998, a young fresh holder of MA in French Language, Literature, and Linguistics (me) applied for a teaching job with a Prague-based language school called English Link. I got hired straight away and it was a start to my teaching career, which has been going on and off ever since. The English Link of those days was a fantastic bunch of people. Everything about it was great – the owners, DoSes, admin staff and the teachers. Even though none of the people have remained and the school ethos has changed, many of us still get together regularly. There would be a staff meeting every Friday where everyone would go. If it happened to be your birthday, you’d get a flower and a Happy B song . One of the teachers would share a useful activity to be done the following week. We were given amazing methodology advice. We, teachers, were taken care of. The managers had our back when students complained. I felt valued and protected. Recently prompted by the Twitter tribe, Lina wrote a great post on collaborative teaching and I decided to follow suit. Team teaching in old English Link was one of the core principles. Corporate clientele were advised to take two classes weekly. Each one was taught by a different teacher, the duo often being a native speaking teacher and a Czech teacher. Nevertheless, it was made clear that unlike in many schools, the Czech teacher would not teach grammar and the NS conversation. They were each to do a bit of everything, and it was this non-distribution of roles that made the system viable. 1, What, in your opinion, are some of the benefits of team teaching? 2, What are some of the drawbacks? Has anything ever gone wrong with team teaching in your classes? 3, Do you have a (funny or sad or any) story to tell related to team teaching? 4: Anything else you have to say? Q1: It feels like saying “those were the days”… Back in 1990s when first native English teachers came to the Czech Republic most students were under the impression that a native English teacher should teach “conversation” and a CZ teacher “grammar”. We were the first school in Prague that strongly believed that a “good, trained” teacher can be of any nationality. Nevertheless, a native teacher is unbeatable as they are a model for a student for pronunciation, their range of vocabulary and culture. Whereas a CZ teacher went through the same learning process as the student and they can understand the source of “Czenglish” or any other persistent classic CZ mistakes. Thanks to our DOS (Jenny Lynd) we were ready to introduce team teaching and prove to our students it would work. Q2: Provided you work as a reliable team, nothing usually goes wrong. Teachers have to work out their way of communication so that their students can benefit from their lessons and experience continuity. Teachers should be able to make students aware that they recycle what their colleague covered the lesson before, and show them different ways of dealing with the same topic or task. Thinking about a drawback – it is not suitable for teachers who are not team-players. Q4: The concept of team-teaching in our school has never had any academic backing or history. It evolved spontaneously, thank to our enthusiasm and our will to teach so that our students experience real-life situations and communicate naturally. Students should always be supported, prompted, so that their motivation never disappears. Q1: Benefits: each member of the team-teaching duo is going to have particular strengths and teaching preferences. You can make decisions on how to distribute some of the work-load accordingly to the benefit of the students and the instructors. Q2: Drawbacks: you need to be diligent about communicating with your teaching partner re what was covered, what needs follow-up, etc. Otherwise, you can’t lesson plan effectively. Q3: For the most part, I found team teaching to be very beneficial, especially as I was a relatively new teacher. I was fortunate to be paired up with experienced and highly effective colleagues and as a result, I really honed my own teaching skills and was made to feel a part of the teaching community at our school. Klára Nováková, my friend since 1998 and also a great teacher and my mentor. She can be reached at kla05@seznam.cz. Q1: Students benefit from team teaching, experience different teaching styles, different types of activities (but the approaches should not be too far away) and different accents. Teachers benefit from it, too – especially if they are open to share their ideas – I was always curious about what my team-teacher did, how they did it, if it worked – it was a great way to learn. And your team-teacher´s notes/information can be a great teaching aid for easier lesson-planning. Also, I was really happy that I had a native team-teacher to ask about an unknown word or a grammar issue. Moreover, if you have a team-teacher you can share and compare your feelings about your students – you have a problem with a student (and feel bad about it), and you find out that your team-teacher has the same problem (and feels bad about it)…..
Q2: Having a team-teacher who is lazy and careless about exchanging information…..And having a team-teacher who uses Czech in class (or lets students use Czech in easy everyday learning situations – for instance when students ask you “Co znamená..?” instead of “What does…. mean?”). It makes your classes more difficult to manage. Q4: I have been blessed with good team-teachers, I think. Or I have forgotten about the bad ones. 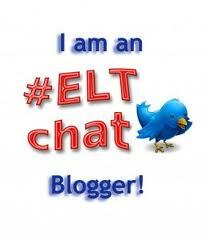 Q1: I think it’s great for students to be presented with different accents and teaching approaches. Plus, if one of the teachers is not a native speaker, the students have living proof that it IS possible to learn the language even that well! And they also know that the non-native speaker teacher, having grappled with the language themselves, might be able to explain the grammar more clearly. For the teachers, it can be great fun to play off one another’s differences. If one is a stickler for grammar, the other might be a stickler for vocabulary. Either way, the students get a more well-rounded presentation of the target language. Q2: Oh hell yeah. I had a team teacher who spoke the students’ language and not the target language. That left me looking like the heavy when I insisted the students try to stick to the plan. And then they’d ask ME to translate. I told them they’d have to get me drunk first. Luckily, we only went for beer after the last class. I did ask the team teacher to speak the target language but she was a very sweet person whom the students had worn down so successfully that she just didn’t have the strength to fight them anymore. Q3: Well, once I was observing a class taught by my team teacher and she was trying to teach the students the word “rude.” I winked at her from the back of the room as I put my combat boot clad feet up on the desk and started picking my nose and scratching my arm pits. She said, “Ok. Everyone, please turn around and look at Jane.” As they did so, I burped a nice, long Barney burp. Q4: Sometimes I’ve had the hands off team teachers and they’re ok. I do my thing and they do theirs. That’s fine if the students are ok with it. However, I can definitely say that I prefer the hands on team teacher who shares information and techniques to help our students improve their language skills. I’ve learned immensely from my team teachers and wouldn’t be half the teacher I am were it not for them. And what about you, Kamila, I hear you ask. Well, I think my colleagues have said it all for me, leaving me with very little to add. I am grateful I worked (and still sometimes work) with them because team teaching is mainly about learning from one another and building the team spirit. Feel free to ask any questions and comment in the comments section and I wish you all a great start of the next school year (Sept-June in the Czech Republic). Hi Kamila – I LOVED working with English Link in Prague – my best job ever! I loved my team teachers and my bosses; what a wonderful experience. Interestingly enough, in my next job, teaching secondary school English in Hong Kong, I also class-shared with some of my colleagues, but it took them a while to believe that I could actually teach grammar (some of them never trusted me!). I think the differences were more noticeable there, because culturally and linguistically, Chinese Cantonese-speakers are a bit more different from me (every other person out of the 1000+ in my school – staff and students – had straight black hair and brown eyes, for a start!). I think the way it worked in English Link was inspiring for me – it is always interesting to see different approaches, and I think it is helpful for students too. I like to replicate it in a small way in my French classes in Australia by using peer-to-peer work, which in a small way recreates the role of the second teacher . Hi Jenny, Thanks so much for replying. I am really sorry you and didn’t cross paths in English Link. Also, the cultural aspect of team teaching is very interesting. I’ve been getting comments like yours on Twitter – it really is different in each country and some teachers haven’t done it at all. Thanks for reading and commenting. I really appreciate it!